Apple is planning a major retail increase in China in the coming weeks, retail chief Angela Ahrendts tells China's Xinhua News Agency. According to Ahrendts, Apple's aggressive strategy involves the opening of five new retail stores in the next five weeks. Apple is timing this expansion with the festive shopping of the February 19 Chinese New Year holiday. "We are opening five new stores before the Chinese New Year this year. 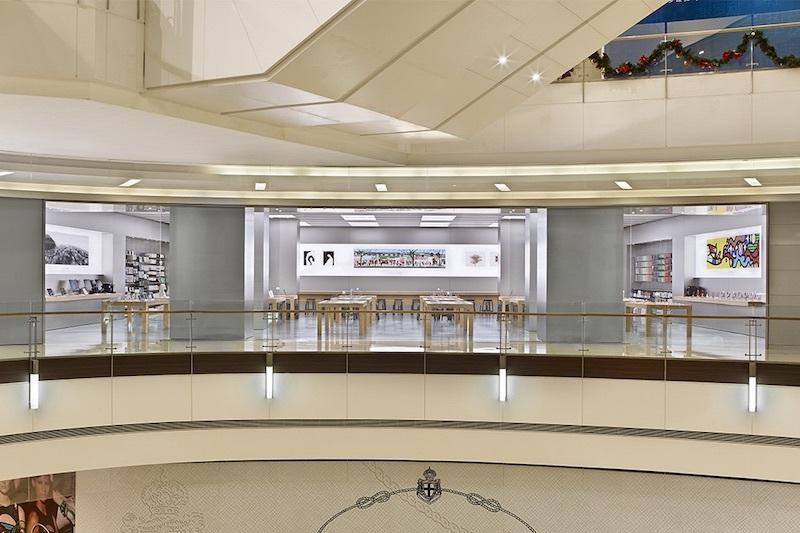 Four of the stores are in brand new cities for us," Angela Ahrendts, Apple's senior vice president of retail and online stores, told Xinhua in a telephone interview. Apple already has opened one of the five planned retail locations, with the recent debut of a new store in Zhengzhou, the provincial capital and home to one of Apple's Foxconn facilities. Other upcoming stores include the West Lake Apple Store in Hangzhou, which will to open January 24. With the addition of these five new stores, Apple will operate a total of 20 retail locations in China and Hong Kong, on the way toward a goal of 40 stores in the Greater China region over the next several years. These new stores reflect Apple's increasing emphasis on China, which Ahrendts told Xinhua is "a huge and important market for every global company today." China is a growing market for Apple with an increasing proportion of its revenue coming from its Asian retail and online storefronts. Apple's Chinese online store is the fastest growing store for the company, with orders up more than 80 percent last year. with all the fanfare with which Angela came on to Apple, it has be very quiet since her joining. All her retail and fashion experience. I don't think its been a year yet, but I still expected to notice something different in the stores or in the approach of how Apple sells. It has pretty much been status quo. It makes me wonder if she is still working on changes, and if so they must be big if it's taking this long to announce. Anyone worth their salary doesn't walk into a company and change things right away. It causes panic, it causes confusion, it causes a lot of negativity on employees and even customers... it just isn't good business practice. You go into a company, you learn the current processes, you see them in action (ie visit to retail stores), you talk to employees, managers, and customers. You make 1 or 2 very small changes and see the reaction. You build trust that way. Then you can strategically plan to change the big pain points once you have earned that trust that you are making things better. That's how its properly done. Toronto may finally be getting a flagship Apple Store with one currently unannounced going in at the Eaton Centre's north expansion at Yonge and Dundas. It'll be 2 or 3 floors facing Yonge Street near the Roots. Sears left the space last year and Nordstrom is the new anchor with several other high profile tenants taking over the remaining square footage. Apple is one of them. +1. Too many new execs want to make a big splash and only end up getting the floor wet. The former VP of Sales at my company came in swinging for the fences. Swing and a miss. Hence the descriptor former. Apple retail, for the most part, is a machine. To break my rule about car analogies: Apple retail could benefit from a tune up and oil change. It doesn't need an engine swap and new transmission. Needs a coat wax, not a new paint job. The title kind of makes me think: "Apple plans to open five new factory outlets in China"